Nasir and Matt pass the rock around to discuss the lifetime deal that Lebron James signed with Nike and how the deal is likely structured. NASIR: Welcome to our podcast where we cover business in the news and add our legal twist. My name is Nasir Pasha and we’re welcoming our co-host. What kind of expert is he? He is a shoe expert, not a basketball expert, not what you were thinking. MATT: I don’t know anything about basketball but I know a lot about shoes. Matt Staub here. NASIR: You are a basketball… I don’t know about expert. I don’t know whether you’d call yourself an expert but you’re definitely into basketball more than I am. MATT: I would say I know more about basketball than most people do. MATT: I think that’s fair to say. NASIR: In the world or in the United States? Like, what’s your criteria? MATT: I mean, definitely in the world because, well, it’s getting a little bit different but it’s pretty US-focused. I would think basketball has to be extremely popular in the US compared to other places. NASIR: Yeah, I would say that. MATT: You know, it’s gaining a little bit of traction worldwide. You definitely see a lot more international players in the NBA so it’s always fun. But it’s funny you said the shoe thing because that was one of the things I was wondering about this when I was looking into it. For those non-basketball news-related people, Lebron James signed what’s being called a lifetime deal with Nike – Lebron James being a basketball player, Nike being a shoe and other apparel company. NASIR: Definitely explain what Nike is but, yeah, first of its kind. I don’t think it’s happened in Nike’s history. Frankly, it hasn’t happened… I can’t think of any like-contract in the sports industry even. Can you? MATT: A long time ago, the huge deal that was done was I believe, if I remember correctly, Magic Johnson signed a 25-year deal with the Lakers for $25 million – one million a year for 25 years. MATT: Which, obviously, is nothing now. I don’t know if that’s even like the veterans’ minimum per year but no one plays 25 years either so, obviously, they were buying more than just his basketball time. NASIR: And for the rest of his life. MATT: Yeah, not even just playing, that’s the thing. It’s not that this only goes to when he retires. It’s a lifetime deal which might sound silly to some people but Michael Jordan’s shoes are selling just as much if not more than they did when he played. You know, there’s definitely value in this deal even after Lebron retires. NASIR: I mean, there’s just so many issues here. By the way, David Beckham did sign a lifetime contract that’s said to be worth around $130 million or so with Adidas and I think this Nike one is supposed to be worth what? I think everyone’s ballparking it but $500 million? MATT: Yeah, the numbers that were thrown around were 400 to 500 million and there was a source close to Lebron that said it’s worth well more than that so I don’t know if we’ll ever find out how much it is. I mean, it’s at least half a billion dollars probably so that’s pretty good pay-out for him. NASIR: Yeah, obviously he doesn’t get all that in one day. It may take a lifetime for it to get to him but let’s get to the shoes thing. I assume that part of the deal is you get a cut of sales. Maybe as a basketball fan you can explain to me. I really don’t get the… these basketball players have shoes like Air Jordans and people want to buy those just because they’re Air Jordans. As a kid, I thought I saw the appeal but I guess I didn’t realize that still went on. MATT: These are built for people to play in. I mean, it’s not just… well, some of them are. It’s a huge fashion thing. I mean, that’s what it is. MATT: The Jordans sell for $150 a pair and there’s long lines for people waiting at stores to get them. It’s a huge fashion item so that’s the thing. I mean, you’re forgetting one huge market as well is kids. NASIR: Who have to get new shoes every year because they keep growing out of it. MATT: Yeah, and I think you actually might have mentioned that with you growing up. Yeah, I mean, that’s where a lot of the popularity is – in kids. There’s a whole variety of people that are looking for them but, I mean, that’s the thing. I just saw the number on Jordan. I think last year it was 2.6 billion that his shoes sold, the Air Jordans. MATT: You raise an interesting point in that. Yeah, is Lebron going to get a cut of every pair that’s sold? How exactly is this going to work? I mean, I guess that’s one thing we don’t know – what are the actual details of this? I’m very curious what the pay-out is. Obviously, like you said, he’s not getting half a billion dollars tomorrow so are they spreading it out? I’d have to think it’s front-loaded. NASIR: Yeah, I think it’s going to be a mixed bag. It’s going to be some annual stipend of some sort and he has his obligations, too. I bet you, he gets points too on the sales of his products that he endorses. Give him a little incentive to perform well. But let’s talk about this lifetime thing. I mean, have you ever done a lifetime contract in your lawyering world? MATT: No, I’ve signed one lifetime contract in my personal world. NASIR: Okay. What was that? Was it a gym membership? NASIR: Okay, I’ll give you that one. NASIR: No, actually, it’s a good point because, I mean, this is kind of sensational news, right? This is the headline: “Lebron James signed lifetime deal with Nike.” What exactly does that mean? I very much doubt that you have a contract that says, “For the life of Lebron James, this contract goes on.” The contact is not going to be drafted that way. It’s unlikely, I should say. More likely is that you have an agreement and, basically, the only way that you can terminate it is for certain reasons and for a cause. And so, basically, this agreement is perpetual until something else happens. And so, what’s interesting is that this kind of concept may be a little foreign and unusual but it’s enforceable. I mean, there’s nothing wrong with that. This isn’t like slavery or some kind of indentured servitude where you obligate an employee for a lifetime where the employee can’t get out of that. Now, that’s a different story. But, something like this, you can always have some carve-outs to actually terminate it for a cause. MATT: Well, yeah, it’s like having a triggering event be death is common in certain types of agreements. It’s something that could definitely be in there. You brought up the gym membership one and, you know, I wasn’t even aware of this. In California at least, health studio services apparently it has to state the length of the contract term so, technically speaking, it means that lifetime contracts are prohibited for this health studio services which I thought was interesting. NASIR: I think it was in New York, actually, that one health gym that was trying to do lifetime contracts and so forth. NASIR: Speaking of, my wife just joined that gym called Equinox. Have you heard of it? NASIR: It’s some popular… Of course, I look at this contract, I’m looking at it and I always laugh like I don’t know why I’m looking at this because I know I’m an attorney and I’m going to look at this but, like, okay, fine, I don’t like one of the terms, what am I going to do? Are they going to revise it for me? No. NASIR: But it was nice to know how long is it and making sure we know what we’re getting into. MATT: You and I obviously review a lot of contracts. That’s always the hard thing to do, especially if you’re sitting there and they give you something to sign. Even if it’s only one page. It’s probably worse when it’s less because then I feel more obligated to read it through. It’s like, “Well, I don’t want to sit here.” Like you said, what are they going to do? Change the terms? Well, maybe if it’s a smaller company but, yeah, are you going to sit there while you read line by line and do something about it? You’re just holding up everyone’s time. NASIR: And they look at you weird. They’re like, “What are you doing?” It’s funny that’s the culture. Like, especially these long fine print contracts that, you know, if you go to rent a car or whatever and you have a whole line behind you. Everyone just got off the shuttle bus or whatever and you read this contract. You want to read it but, yeah, you look like an idiot if you sit there and actually read the whole thing. I feel you on that. But, anyway, yeah, the gym membership. It ended up being a year contract. But, yeah, some of these gyms – like we covered not too long ago – has this lifetime contract that I think, you know, when you’re dealing with consumers, it’s different. When you’re dealing with employees, it’s different. Just like Matt mentioned, there’s a California law. It was a California law that applies to health facilities? MATT: Yeah, defined as health studio services. California’s health studio services contract law applies to all contracts for health studio services in California. NASIR: That’s right and they have basically a cooling off period. You can cancel it after five days or something. In fact, that might be in Texas too because Equinox had a six-day cooling off period or you can cancel it within six business days. Maybe that was required. But, with something like this, you have a business transaction between a professional player and it’s basically an endorsement deal. So long as Lebron doesn’t pull some kind of Lance Armstrong kind of thing, doesn’t mess up like that, he’ll be able to withstand it the entire length of the contract which will be his lifetime. NASIR: Yeah, Lance Armstrong lost all his contracts. MATT: After dating Sheryl Crow? NASIR: Yeah, after that. That was a big controversy. No, after he basically admitted to using steroids. Was it steroids? MATT: I’m not sure he ever admitted it. I can’t remember but I see what you’re saying. NASIR: No, I thought he did. MATT: He might have. Usually, they don’t. That was one of the things I was going to ask you. Like, what’s the risk? 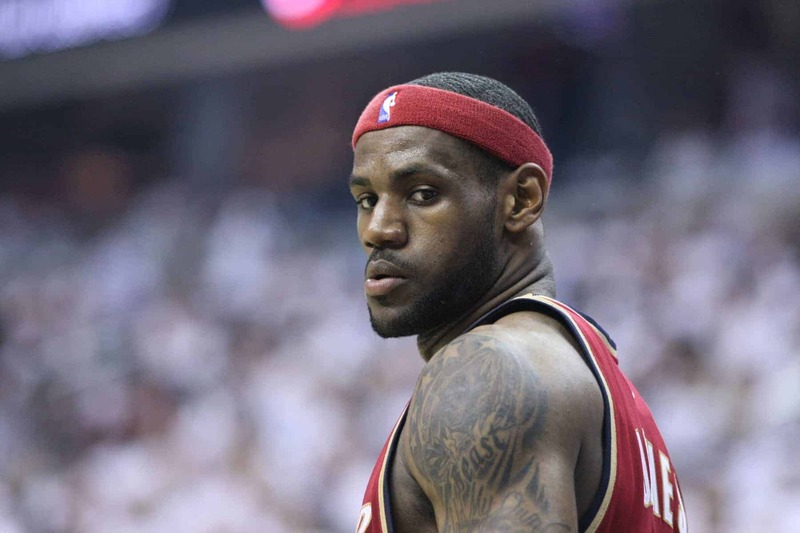 Obviously, there are some risks on Nike’s side but, for Lebron, it’s a little bit different because, well, steroids are worse but I was going to say worst-case scenario, he gets hurt tomorrow and never plays again. He’s had already a pretty long career, already had a pretty… if he retired today, I think he’d be a top ten player in the NBA of all time so he’s already kind of established himself. Really no way to go down unless he does something awful, kind of like you said. In terms of the value risk to Nike, I don’t really see that being much of an issue. I mean, depending on how they’ve structured the payments, there could possibly be an issue if he died earlier than they were expecting, but I would think that’s kind of broken out in a way that it’s not going to be a big issue for them. NASIR: And I’m sure they’ve managed their risks in worst-case scenarios. By the way, Lance Armstrong did admit to doping. NASIR: I just confirmed. Back in 2009 or anyway it doesn’t matter. I’m pretty sure. Otherwise, he can sue me for defamation. That’s fine. By the way, you said something, I wanted to ask you if it’s a controversial statement to say that he’s in the top ten. Like, wouldn’t you say he’s in the top five of all time? I always thought at least the top three, no? What do you think? MATT: It’s a different question, yeah. I mean, if you’re looking just at his peak, you can definitely make the argument. If you’re looking at the whole career, his career is not over yet so there’s other guys that piled on some years at the end. I mean, assuming he just has a normal finish to his career, then, yeah, I would say he’s going to end up top five, but I can’t put him up there right now – at least not yet. NASIR: I just know we’re going to get a bunch of letters after today. I just want to be able to address it now so we don’t have to address it next time. MATT: Or Matthew will just edit that out. MATT: They cut another episode where I said five. Actually, he just needs to do that and he can just edit it when I just said “five” right there and put that in for ten. NASIR: By the way, Matthew’s our audio editor so Matt’s not referring to himself in the third person. MATT: I go with my official formal name when I do the editing part. NASIR: Yeah. Anyway, I think those are the things that I thought of on the legal side for this contract. NASIR: We’ve talked a little bit about doing endorsement deals with celebrities and just because you’re a small business does not mean it takes you out of the realm of actually contracting with some of these maybe lower-level celebrities and, most of the time, it’s finding this out and this is with every contract. First and foremost is what is your out? As an attorney, we look at everything else. But, from your perspective, that’s what you should be looking at. “Okay. I’m signing a year-long contract. If I have a problem, how am I going to get out of this contract? If they’re not doing their job, is there a breach and cure period? Is there a 30-day out for any reason? Things like that. Does the contract automatically renew? If it does automatically renew, is there a way that I can stop it from auto-renewing? How does that work? That’s how you should manage your risks and that’s I’m sure what Nike did as well. MATT: Yeah, I’d be very interested to see this agreement. I’m just so curious on what was in there. Everyone cares about just the number. I don’t really care about the number. I’m more interested in provisions in the agreement which is what it looks like. NASIR: Well, if Lebron’s on Twitter, I’m just going to tweet him and see if he can just send me this contract. MATT: He’s definitely on Twitter. NASIR: Why do you say definitely? MATT: The NBA players now, it’s more than just basketball. They’re all a brand. That’s why he’s worth so much. MATT: King James, let’s see. Yeah, just 25.7 million followers. NASIR: I’m sure he’ll respond. MATT: Yeah. Wait, did you post on his? Because you can do direct messages now. NASIR: No, I didn’t do a direct message. I just did a tweet to. I don’t know what that means. I did something. Let’s just wait for a response. NASIR: Okay. Well, we may have to just update next week. MATT: Yeah, I think we’ll just do that. NASIR: He’s probably just busy. MATT: He’s playing right now. Lebron James Photo by Keith Allison. All rights reserved.